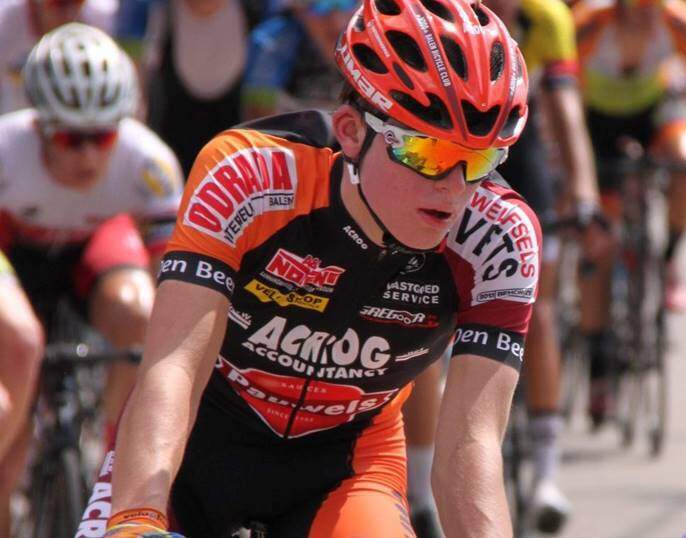 According to the website stickybottle, com the cyclist of 19 years Stefan Loos He died last Sunday in a cycling event, the Alfred Gadenne Memorial, when he suffered an accident. Everything happened after it was mistakenly sent to a group of 30 runners down a wrong path and out of the competition, where 3 cyclists crashed into a van while passing a junction. The emergency services quickly took them to the hospital but Stefan's injuries were too serious and his death was confirmed a little later. The interim reports show that the injuries suffered in the head have turned out to be fatal, although an investigation has just begun. Belgian cyclist Stefan Loos was part of the Acrog-Pauwels Sauzen-Balen team and lived in Dessel Belgium. One of the managers of the deceased pilot's team, Jef Roberts, commented. "A very tragic news, Stef Loos was a promising cyclist of the team and was the victim of a serious accident. Along with two other runners, Stef was hit by a truck and suffered serious injuries. The group of three cyclists was incorrectly sent by a signal man at a crossing that was not secured, a van pushed them to the side. Stef had been with us for years and was very popular. "